Oh, Bernice! Springs Forward – Oh, Bernice! 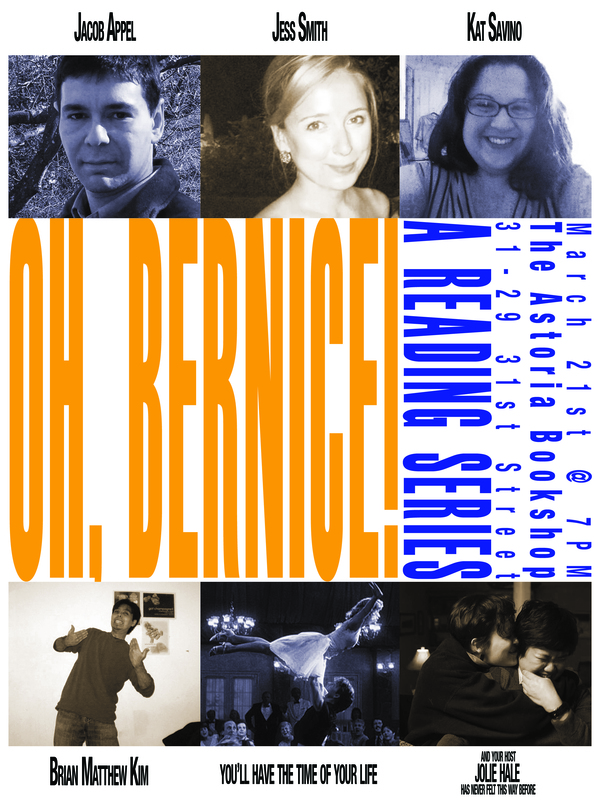 Come thaw out with us, this Saturday March 21st at the Astoria Bookshop (31-29 31st Street, Astoria, NY). The reading starts at 7PM sharp, so swing by a little early to peruse the shelves and pick yourself a new read for spring! This entry was posted in Upcoming Events and tagged #literarylineup, astoria bookshop, brian matthew kim, Jacob M. Appel, jess smith, Jolie Hale, kat savino, oh bernice. Bookmark the permalink.